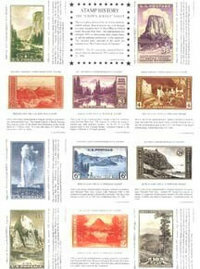 Stamp your way through the entire National Park System with the Collector's Edition Passport. Beauty and practicality meet artfully in this deluxe version of the popular Passport, taking you above and beyond the original by providing space for Passport stickers and cancellation stamps for every single park, as well as space for extra cancellations. The park sites are color-coded by region, each area featuring a color map that pinpoints park locations. With a spiral binding that makes it easy to lie open flat, a hard cover that ensures durability and longer life, and pages graced with beautiful color photographs, it's the ultimate stamping ground. The Explorer Edition features a sturdy weatherproof portfolio with a durable inside binder, several pockets for your national park collectibles and personal items, and an attachable, adjustable strap so it's easy to carry. 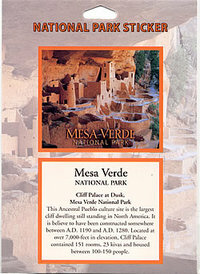 It also comes with a map of the United States which displays the national parks and their locations. The inside pages are bigger and better than ever, and they're expandable, letting you add or rearrange pages any way you like. 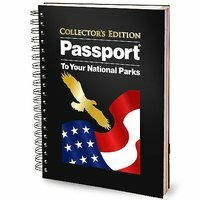 Dimensions: 8.5" x 11" x 2.5"
The Passport To Your National Parks® Junior Ranger Edition is perfect for every young traveler interested in exploring, learning and protecting our National Parks. 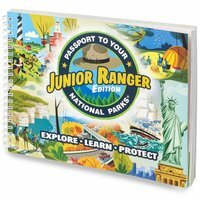 Developed in collaboration with the National Park Service the Junior Ranger Passport is full of vibrant illustrations and interactive educational content. 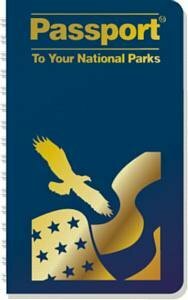 Featuring 100 pages with designated areas to stamp your book with official park cancellations and specially designed Junior Ranger cancellations. Includes a free set of colorful park themed stickers. Sunscreen. Check. Bug spray. Check. 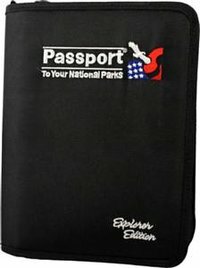 And don’t forget your personal roadmap to America’s great outdoors, Passport! Ultra slim and compact to fit in your pocket or backpack, you’ll always find, visit, and remember your outdoor adventures at seashores and other historical landmarks. A must-have for your inner explorer, it features color-coded maps, information on what to expect, illustrations, photographs, and pages to commemorate your visits with rubber stamp cancellations. Spiral-bound, full-color travel guide with 104 pages.